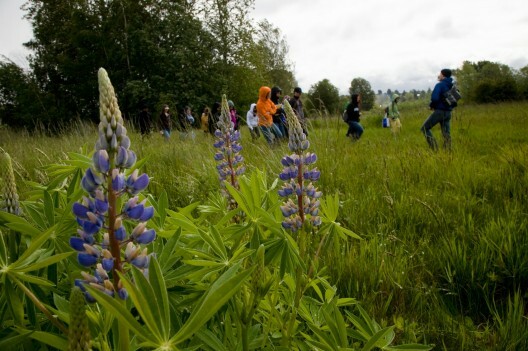 At the College of the Environment, we work extensively with countless volunteers to connect with our community partners and help fulfill our institution’s mission. Whether that’s helping us focus on College-wide initiatives or helping us plant trees at a nearby restoration site, our work could not be done without our dedicated volunteers. We have numerous opportunities for volunteers to engage with us — and us with you — on important issues and projects that require a diversity of perspectives and skills. Join us! Information on helping research projects through citizen science is available on the Get Involved page.